List your Hotel, Lodge or Guest House on www.Hotels-South-Africa.net - it's Free* and Easy! www.Hotels-South-Africa.net lists Hotels, Guest Lodges and Accommodation Establishments for free in exchange for a link from your web site to the Hotels South Africa site. Your listing on the Hotels South Africa web site comprises a photograph, a short introductory text, a contact name (if desired), telephone and fax numbers, a link to contact you directly via e-mail and a link to your own website (with a click counter so you can monitor the number of click-thru's to your website). 1]. Place the link to this site on your web site using either of the logo or text link suggestions found here. - e-mail address and web site address. - the full URL (web page address) of the page you have placed the link to this site on. 3]. Your listing on www.Hotels-South-Africa.net will be live within 24 hours of receipt of your materials. 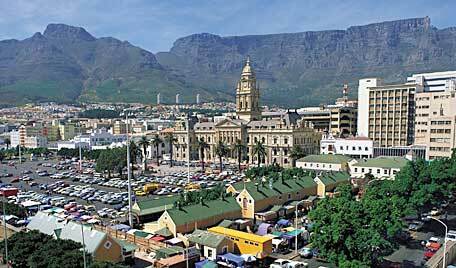 * The listing is free provided a link back to the Hotels-South-Africa.net web site is placed on your web site. As long as the link from your site remains in place, your establishment will be listed on this web site. If you remove the link, your listing will be removed.